There are times when I wonder why we promote Colombia if the country is a destination for not only the intrepid and educated but also for the plain stupid. Those of us who dabble in travel journalism and blogging are engaged in a Sisyphean labor of such futility when all we can write about are the boutique hotels in Cartagena, the Gold Museum in Bogota and then pastoral coffee haciendas in the Eje Cafetero for fear of ruffling the government’s feathers if we pen something considered to be too edgy or even – god forbid – we suggest the truth. And yet, despite the millions of relatively sane travelers to Colombia each year there are a few suffering from an arrogance so suffocating and profound that you wish they had never come to the country in the first place. If only this were arrogance alone and not ignorance and stupidity. Of course, I am referring to two specific cases. The first being the Swedish tourist who set off alone up the Atrato River to cross the Darien Gap. 26 year old Jan Braunisch has not been heard from since May 15 when he announced his whereabouts on his blog as being in Riosucio, Choco and heading north to Panama. And then, it was brought to our attentions on July 20 – Colombian Independence Day – that the FARC was holding a US soldier in captivity. Since the guerrilla group’s declarations of a show of goodwill and desire to release Kevin Scott Sutay, we have since been informed that he is an ex-soldier who saw active duty in Afghanistan. 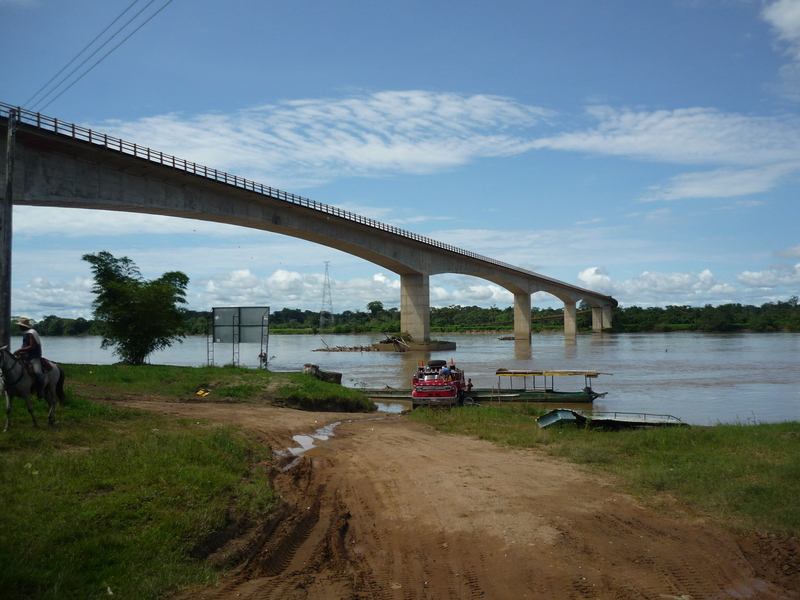 Sutay, similar to Braunisch was embarking upon a highly dangerous solo “trek” of some 500km from El Retorno, Guaviare to the town of Puerto Inirida, Guainía on the border with Venezuela. According to the FARC he has been in captivity since June 20 and in their words, is conclusive evidence of US military involvement in the Colombian conflict in this region. Apparently he had concluded that his military service would hold him in good stead for this expedition and purchased a machete and set off despite continual warning from the Colombian police aware of his plans. The difference between these two intrepid (reckless) risk takers is that while I feel that Sutay is an idiot (of course I reserve the right to change my opinion if indeed he was involved in some conspiratorial mercenary operation in Southern Colombia), I think that Braunisch is the bigger fool. There is no shortage of material on the Darien Gap and the dangers that a traveler will face here. 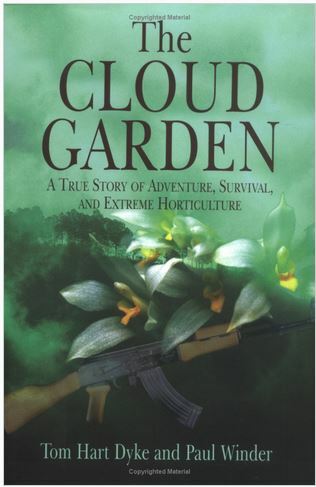 Just take a read of “The Cloud Garden: A True Story of Adventure, Survival, and Extreme Horticulture”. In fact you can find information on this region dating back to the failed Scottish colony there. So, the question remains, why would you do this? And for fear of awakening every internet troll out there who claims to have crossed the Darien Gap solo six times in a year. Well then, yes, you have the experience and the connections to do this. But would you recommend or give your contacts there out to someone else wishing to do this? I am hardly innocent of risk-taking since I too thrived on adventures that were decidedly foolhardy in Caquetá, Guaviare and the Choco and yearn for more. But, there are conditions to these adventures and they usually include local guides with an influence in the region. I realize that I am continually crying out for the “spirit of adventure” to be returned to travel. But these guys crossed the line and by some margin. There have always been those who wander off into the wilderness and unknown such as explorers of old. I am currently reading John Gimlette’s “Wild Coast: Travels on South America’s Untamed Edge” and this engaging read is punctuated with the names of failed enterprises of this type in the Guyanas. Every few years another book detailing failed explorations or charting unknown routes where some explorer or another perished. And these are excellent, thought provoking and hark back to a time of naiveté. There is no place for nescience when it comes to travel in Colombia. There are huge swathes of country out there that are lawless and enticing. But, we live in an age where the news and information is available to steer you away from such reckless pursuits. Theirs is a myopic ignorance towards the reality of Colombia and an insult to all those people who have been working hard to secure careful travel and images can increase tourism to Colombia. No, we must not hide the truth, but, we must not have headlines about disappeared or missing or kidnapped tourists, albeit due to problems of their own making. And while I am berating Braunisch and Sutay, this is also an appeal to reason to all of those would be adventurers out there considering similar feats. Please think of your families and the consequences of any actions you take in Colombia. This entry was posted in Journalism, Journeys and tagged america soldier kidnapped in colombia, crossing the darien gap, darien gap, FARC, guaviare, jan braunisch, john gimlette, kevin scott sutay, Puerto Inirida, swedish tourist kidnapped in colombia, travel journalism, travel to colombia, travellers are stupid. Bookmark the permalink. ← How Corrupt is Colombia? Interesting article Richard, however I don't think we are yet at the point where you have to be naive or arrogant to have security issues in Colombia – look at the Spanish couple that were taken from Cabo de la Vela – a highly popular destination among Independent travelers. The other thing is how much really good information is there out there? If you read the government advisories they say dont go anywhere near Turbo or Ipiales. Which means you would miss out on some great destinations in the Golfo de Uraba and the fantastic mountains of Nariño. Part of the problem is the everything is kosher or nothing is kosher approach to Colombia available. As a fellow guidebook writer you probably put yourself into situations you wouldnt recommend to your readers – and this is normal for the course – but in the end err on the side of caution. But where are the accurate fresh, detailed accounts for slightly adventurous travelers to be found? I live in Cauca and sure there are hot spots but there are also fantastic destinations that many miss due to security issues. The obvious thing here is if the local police tell you not to go – take their advice. Otherwise dont expect them to come looking. Very interesting Alex. I have one quibble with your comment in that the issue with the Spanish couple, as far as my contacts have provided me with information, is far murkier than a routine kidnapping. The Spanish police captured the ransom takers in Europe, the lady was traveling with a Journalism ID despite not being a journalist and her father is a high ranking judge. There was more behind this episode hence why it was wrapped up so fast. By the way, I've shared this piece on OutBounding too. How arrogant to criticize how others choose to travel. Both are experienced travelers and were fully aware of the dangers. Some climb Himalayan mountains (a far riskier pursuit); some ski steep backcountry powder (I've personally lost a couple friends to avalanches), and some dare to complete notably difficult treks through jungles, down rivers, across vast plains, over mountains. High-risk travel isn't for everybody, but for those of us who find great pleasure in overcoming these challenges, it's our choice. P.S. Maybe you should rethink your self identification as a "journalist", if, in the same piece, you talk about "promoting" a destination. That makes you a publicist, not a journalist. I think you're being too harsh in calling a missing person and a kidnapped US veteran stupid. You can get your point across without having to resort to that. I'm sure both their families are going to be searching the internet regularly for news, and will find your article calling them stupid. How would you feel if one of those guys was your son, who despite your attempts to keep him from doing something you deem foolish, he goes ahead with it anyway? I have a lot of traveler friends who go places I wouldn't necessarily go or do things I wouldn't feel comfortable doing, but I know they understand the risks involved, and I would never put them down in public or private if their adventure resulted in kidnapping or death. At the same time, I'm certain I have readers who can't imagine doing some of the things I've done. Whether it's common street crime in the cities, or kidnappings in the jungle, I take issue when people blame the victims. You can give advice in a different manner, without resorting to that. Great article, and I wholeheartedly agree with your language in calling these people foolhardy idiots. It's possibly the only way to discourage it. Thank you Andy. I had never heard of the Australian surfer, very interesting. Richard calling people "stupid" on the internet is not going to deter a single traveler from an adventure he/she is set on undertaking, whether it be crossing a jungle by foot or climbing Mt. Everest. The only thing he's succeeded in doing is ranking this blog post as #1 in Google for "stupid travelers Colombia." Believe me. I'm not internet or SEO savvy enough to know how that works! Oh, I just knew from the title alone that you'd be #1 for those keywords. Thought I'd share as I know it wasn't intentional. Another thing that I think is worth mentioning if we are going to discuss tourist promotion is that if the government is going to launch a major branding exercise based around the slogan 'the only risk is wanting to stay' – then it is a bit rich to then get pissed off at tourists that go off the beaten track. I have always thought that the slogan is irresponsible – the war is not over, problems persist – and undoubtedly some tourists will take the government (it IS the government after all) at their word. Again it goes back to the point of everything is not a disaster but its not all rosy either. So how do adventurous tourists that want to get of the beaten path find out reliable details upon which areas to visit – that are not produced by either over alarmist foreign governments or sugar-coating tourism promotion offices? Interesting article. But anyone want to venture that the Swede's disappearance is a hoax? ALL the information is coming from his 2 friends in Sweden. Colombian authorities have said nothing. And the kid was arrested a few years ago in Singapore for streaking, of all things. Really interesting, I would love to see more information about this. Can you post some links here please Jennie. Hope this guys shows up safe. Fact is the Darien area is vast and the Colombian security forces have their hands full with a load of other problems there than to find a missing backpacker. I recently checked internet threads on crossing the Darien Gap overland by the backwoods walking routes and there was plenty of explicit advice out there – don´t do it! From Riosucio you can get a panga to Turbo, and then another panga to safer coastal area (Capurgana etc) and cross by official land border to Panama. Many travelers take this safer route. I tend to agree with Richard that people willfully entering conflict areas and then getting into problems set back tourism in Colombia. And yeah, as Alex says, there is a long-standing history of government denial of the war in Colombia (which to their credit Santos gov. has partly put right), and premature analysis by the outside media that the problems are all in the past…. 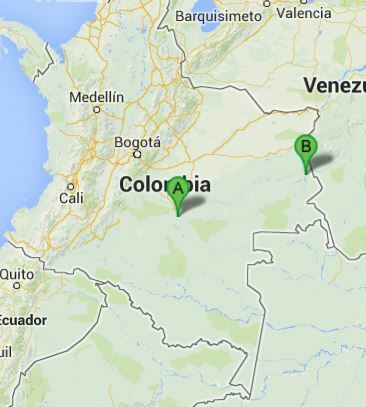 Look….I have lived in Bogota for five years. I am American. Colombia is awesom, it has some great people, stunning women and beautiful, amazing scenery. 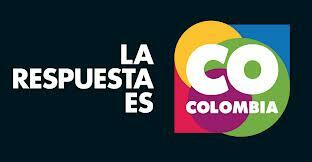 Its generally a great place to live….JUST DONT GO OFF THE BEATEN PATH…..BECAUSE COLOMBIA IS A DANGEROUS COUNTRY. People come here for a a few weeks and declare how safe it seems….if you stay in the touristy parts, it is generally safe, given that you watch your back. However, veer off the tourist route in Colombia, and anything is posible. It becomes lawless territory once you go off the beaten path. ANY foreigner (or even Colombian) who ventures off the beaten path is subject to an assortment of possiblle consequences. Although Colombia is a great place, it IS a dangerous country and it IS dangerous to go trekking out into the unknown ANYWHERE in Colombia. If you choose to "try and be adventurous" in Colombia, you do so at your own. risk….and there is a lot of it. Barry, I agree 100% – you just cannot wander around here in some remote areas like in some other countries. I just corrected wikipedia which said the ´eastern side of the Darien is now safe for hiking´. OK, agreed, the coastal route by boat is OK, but anyone misinterpreting and hiking inland on the eastern side will be in big trouble. There has been a major neo-para incursion in the border area this last 9 months, they have permanent bases there at present, and the FARC 57 are nearby in the hills. I would sure like some updates on Kevin Scott and his "treks" with the FARC. The last I heard in October? sounded like he had become "adjusted" to the FARC life. Maybe giving English classes or something. I don't accuse him of becoming a Colombian revolutionary supporting or fighting with the FARC, just adjusting to his predicament. And, being ex-military, he might do very well bivouaced in the jungles. I would like to know more too. I'll keep an eye out and keep you informed. All good points. I lived in Bogota many years ago, 1980 & 1981, when the Cerrejon project was just starting. M-19 was active; FARC prowled the country side. My neighborhood, La Candelaria, was considered too dangerous for foreigners. Don Manuel Calvo took good care of us in the Residencia Aragon. I guess it's still around. Two other famous guests were the Englishman and the old Frenchman (with a German accent). Fascinating people. But I stray. Land travel to the Caribbean from Bogota meant taking the Tayrona Express. Really, it was called the express. My guide book said twenty four hours; it actually took forty eight and I feel we were fortunate. Santa Marta Tiene Tren, as the song goes. At no time during the trip did I feel unsafe. Likewise Santa Marta. Hot but safe. Hotel Jarima, a magnificient converted mansion on the water. Now, in Colombia taking the road less travelled, or rather hacking one's way through a jungle with a machete, spikes the stupid meter. All new Livingstone imitators should read of his travails, while keeping in mind he was accompanied by a battalion of servants. The Aragon still exists, a bit worn down and one of the cheapest hotels in the Candelaria. Thank you for your comment! could you be anymore pedantic, seriously..?! I wanted to thank you for this great,your blog is so good. The guy from Sweden has now been found dead, guess that wrapps it up. Yes, I read the news yesterday, a terrible end. Jan Philip Braunisch was killed by the FARC. They thing he was some spy from US, so they executed. Or they say so. Kevin Scott Sutay was free after +-3 months.